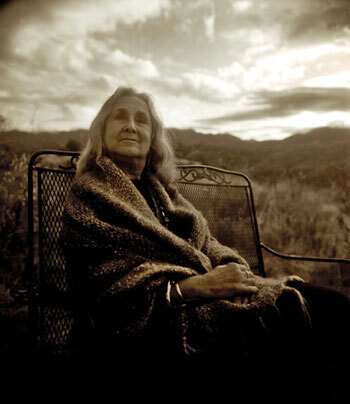 These are the words of Deena Metzger, poet, novelist, essayist, playwright, teacher, counsellor, activist and visionary. Salt Spring is fortunate to host her on Wednesday, Aug. 2 for a reading and discussion of her newest book, A Rain of Night Birds. In her 80th year, her life and prolific writings embody her unwavering passion as a lifelong activist and radical thinker and her commitment to healing the earth and the separations between people and nature. Her appearance at the Salt Spring Public Library Program Room at 7 p.m. is lovingly organized by her longtime friend, Peter Levitt, poet and Zen master. Her novel presents the confrontations and disconnections between Indigenous wisdom and scientific knowledge. Metzger unflinchingly addresses the realities of climate change and the threat of planetary extinction and bears witness to the colonial mind that enacted genocide on Indigenous people. Its protagonists are drawn together by a mutual love of and fear for our planet, this precious Earth. “We are called to share the stories we carry so that we can live within them. We need to speak the stories that shape us as a people and teach us how to live with the earth and each other,” Metzger writes. I first came upon her existence through an iconic poster which is known throughout the world, a photograph of Metzger, her arms outstretched, with a tattoo of a tree where she had a mastectomy on her right breast. Her experience with breast cancer in 1977 is reflected in a subsequent writing, Tree, and led to her work as a counsellor and healer, creating Healing Stories to address diseases, spiritual and emotional crises as well as community and environmental disintegration. For Metzger, story is her medicine. And stories are what she encourages us to record and work with. Nothing has equalled the impact she had on my own writing and teaching of her much-lauded and classic writing book, Writing For Your Life: A Guide and Companion to the Inner World, published in 1992. Her friendship and collaboration with the writer and diarist Anais Nin inspired this text. She co-edited the groundbreaking anthology Intimate Nature: The Bond Between Women and Animals, published in 1999. This led to connections with animal justice activists, into the area of interspecies communication and visits to animal sanctuaries, especially her work towards the preservation of the endangered African elephants. She epitomizes how to be a conscious person in a world that is increasingly in need of healing and, in order to heal our earth, we must be involved in our own healing as well. I am in awe of Metzger, her writings, her political commitments, her ability to tirelessly create communities of engaged and respectful people who care about other people, animals, the natural world and this Earth. I am certain that I will be inspired and, perhaps, feel energized to continue to be engaged, critical and hopeful at the same time — the paradox of living a full, creative, community and activist-inspired life. Wendy Judith Cutler teaches journalling and writing workshops on Salt Spring Island and is the co-author of Writing Alone Together.